This gracious, elegant two bedroom property is located in the prestigious 800 EAST gated community - a short five minute drive to the historic Santa Fe Plaza. 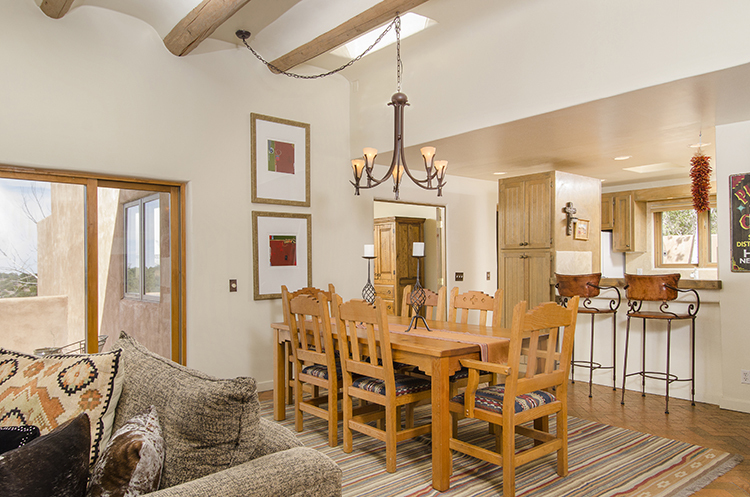 There is a warm and inviting open living/dining room with access to the kitchen. The main living areas have coved viga ceilings and brick floors. 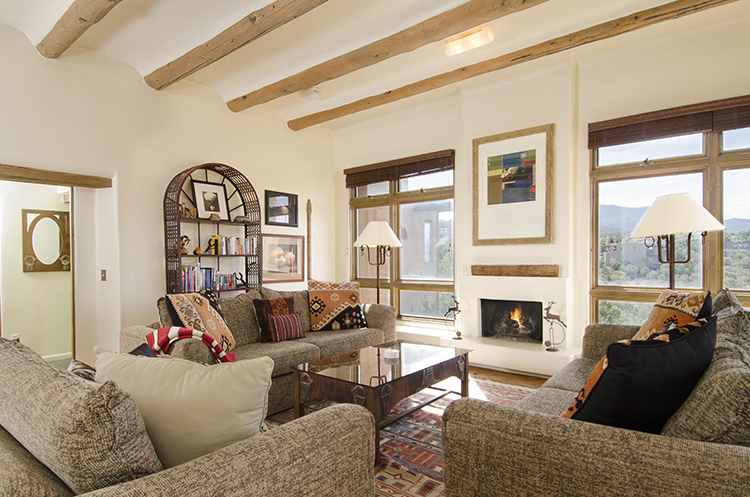 Sit in front of the fireplace and enjoy the views of the foothills. There is a separate den to relax and watch TV or a good movie. 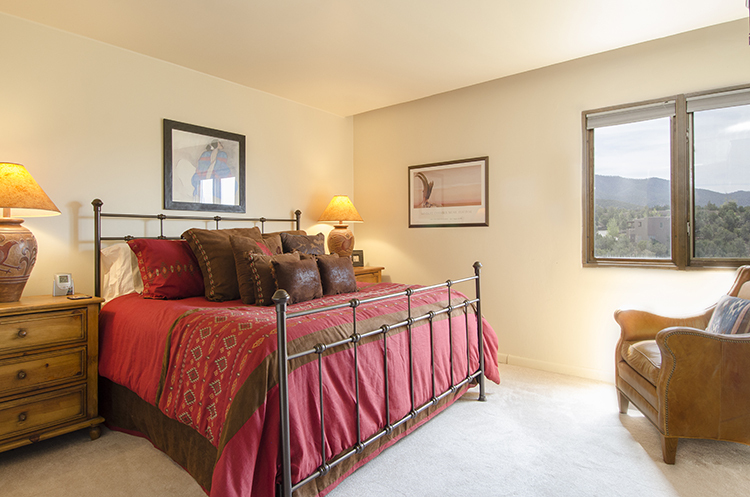 Enjoy the many views of the surrounding foothills and see why this may be one of the best places to stay in Santa Fe! The bedrooms are quite private from one another. The master bedroom suite has a king size bed and large private bath. The guest bedroom off the formal entry can be arranged as twins or another king. There is a full bath for the bedroom as well. 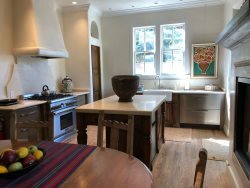 The kitchen has everything you will need to prepare a quick breakfast or a dinner party for your Santa Fe friends. For the warm summer evenings, the property has refrigerated air conditioning. 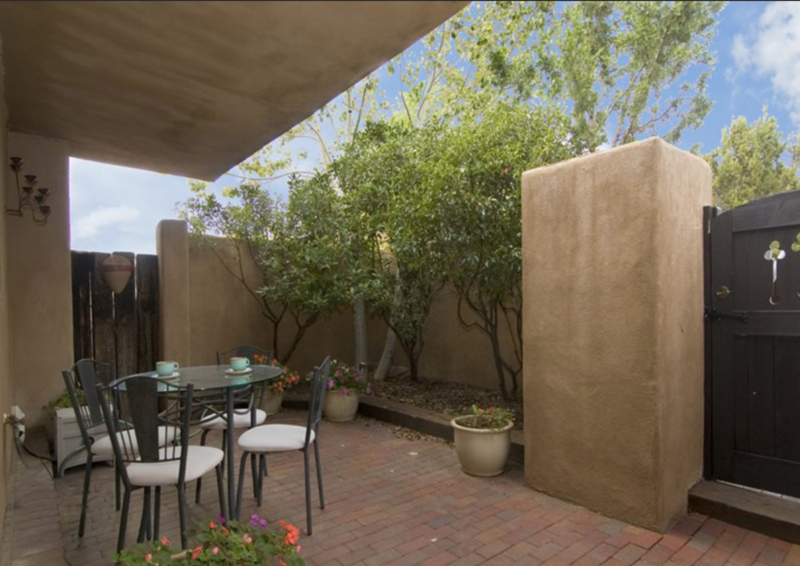 The deck off the living area overlooks Santa Fe and you can enjoy a BBQ while sipping a margarita before the Opera. 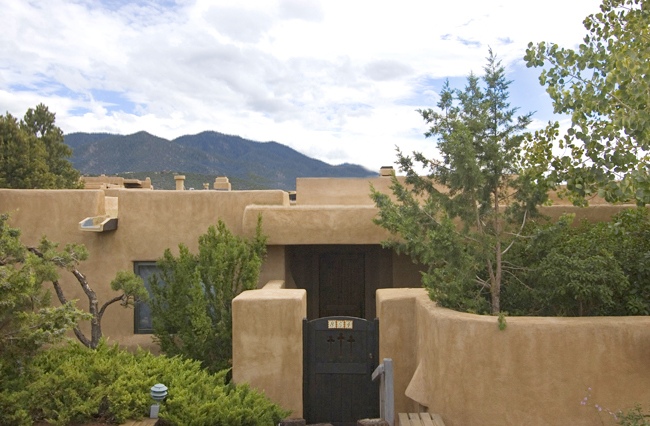 There is also a private courtyard at the entry to the property to sit and enjoy your Santa Fe New Mexico Vacation. Our experience was above our expectation, the property appeared most desirable on line, but on our arrival we discovered it was beautiful furnished and appointed. Our every need was met and our time was truly special. I have already shared your contact info with someone, so they too can have a memorable experience. The remoteness and the sense of quiet. The view, the decor , the general feeling of tranquility.